In this week’s epic battle report, we’re seeing one of the all-time classic face-offs in Warhammer 40,000: Space Marines vs. Orks! With Dakota bringing a lethal army of Ultramarines, and Kevin charging into battle with the most ferocious Orks on this side of the galaxy, there’s no doubt in anyone’s mind that this will be one hell of a battle! To see how these two epic armies stack up, check out the army lists below! While you may know Dakota more from his writings here on the NATGT blogs, his fierce combat skills are certainly a force to be reckoned with as well. 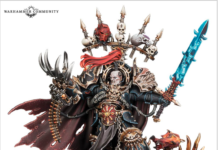 He’s sending out an elite force of Shadowspear Ultramarines today, split into a Spearhead Detachment and a Patrol Detachment. Between a Captain and a Lieutenant in the vaunted Phobos Armor, two full Devastator Squads, and some Fast Attack to mix things up, The Ultramarines will certainly bring their legendary versatility to bear against the. Orks today! 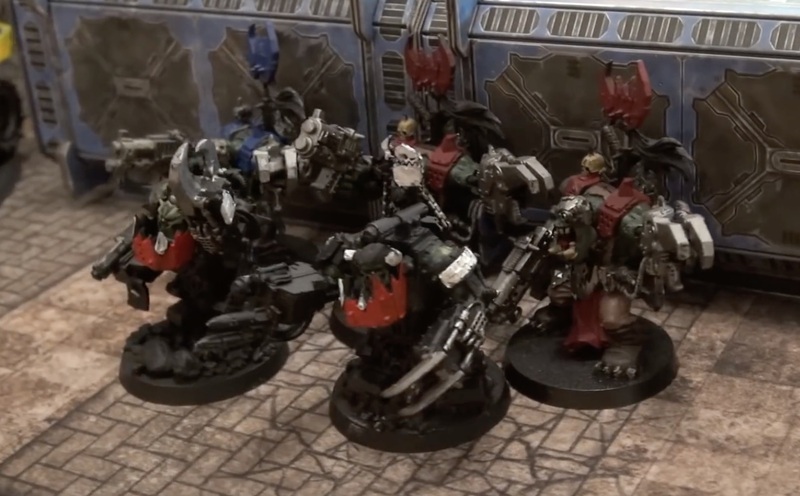 After weeks of playing a variety of different armies, the evil Ork spirit that resides in Kevin has reared its ugly head once again, and he’s brought out some of toughest Orks around to win the day. He’s got several squads of Boyz and a Shokkjump Dragsta ready to dish out some pain, but the real star of the show is the 5-Ork Meganob squad that’s commandeered a Trukk for their own personal amusement. If there’s anything scarier than a Meganob, it’s a Meganob with a set of friends and a set of wheels, and unless the Ultramarines are at the top of their game, they might end up a Space Marine-shaped smear on the sidewalk! Specialist Detachment [-1CP]: Dread Waaaagh! To see what happens when these two armies go head-to-head, check out the full Battle Report below! Previous articleBeast Coast Goes to BFS Team Tournament!